For Easter this year we will be celebrating by spending it with family, this is partly because Easter is the day after my birthday. We will go for a meal and then enjoy as much chocolate as we can consume. There are so many Easter activities going on which can sometimes become expensive. So we often like to do an Easter hunt at home and maybe a few Easter crafts. 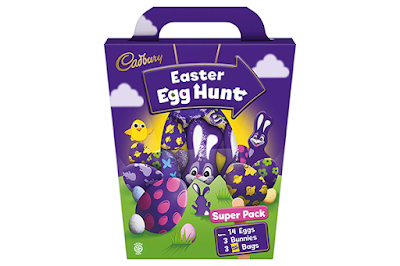 WOWFreeStuff Currently has a competition running where you could win 1 of 50 Cadbury Easter Egg Hunt Packs. Perfect for creating fun on your Easter Sunday.